Have you ever wondered what a business coach does? If you are just starting a business, want to improve your current business or are getting ready to scale up, a business coach can provide you with the tools and processes you need to help your business get ahead. Finding a competitive edge for your business is one thing, having a sustainable plan is another. The grind of increased performance can be overwhelming for anybody. There are even days when business owners don’t even want to get out of bed. The process of continued renewal is never-ending and exhausting, which is why soliciting the help of a business coach makes so much sense. 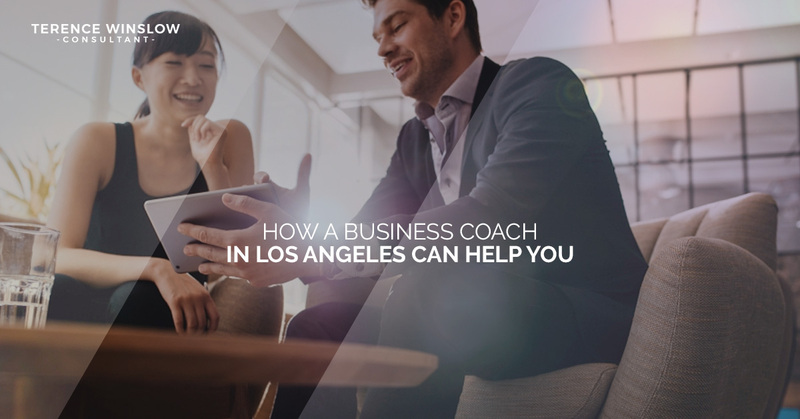 Terence Winslow, your Los Angeles based business coach, offers ways in which a coach can lead your business to success. Soliciting an unbiased viewpoint serves as a strong sounding board to bounce ideas off and serves as a reality check to ensure those ideas are solid. Getting feedback from an outside source will ensure an honest assessment. After all, a business coach has no emotional investment in the matter and unlike the business owner’s subordinates, has no fear of getting fired. In the daily grind of business ownership, coaching serves as a solid backdrop of support. One of the best things a business coach can do for you is to get you out of your funk. As a business owner, a lot of stuff can get stuck in your head and you need someone to help you sort that out. No matter how much self-motivation you have, it is easy to get bogged down and lose motivation. A push form the outside is just what you need to get you up and going again. Business owners often get caught up in their ideas and goals. They get to this comfortable place where they feel safe and find it difficult to break from that. It is hard to step out from your comfort zone and try new things, especially if the things you already do seem to be working fine. A business coach will give you a gentle push and encourage you to explore new ideas and try new things. Having a coach with an array of diverse experiences and knowledge broaden your own awareness not only about yourself and your business, but competitors as well. Nobody learns and grows in a vacuum, we all learn from sharing knowledge and experiences. Your team needs to consist of the right people, the right structure and the right system. If any of these elements are missing, you just won’t be able to get things done properly. A business coach will help you find the right people, structure and system that will have you moving forward in no time. You set goals for your employees, but who sets your goals? Setting goals is a critical part of running a business and your goals are often overlooked. A business coach will sit down with you and help you set goals. Terence Winslow continues to serve the needs of his community by providing unique marketing and networking opportunities to entrepreneurs who seek to further their professional and personal goals. Contact us today.